What You'll Need: scriptures, printed History of Primary picture sheet, printed activities, crayons, pens/pencils, notebook (optional). When we go to church each week we go to so many important meetings. We all go to Sacrament Meeting together and then Mommy goes to Relief Society and Daddy goes to Priesthood Meeting. There is Young Womens and Young Mens and the Scout organization. But there is another very important organization that is for very special people. - Can you guess what it is? (if they cannot guess tell them THEY go to this organization each week). When the Latter Day church was still very new and many Saints had moved to Utah, a sister named Aurelia Rogers worried that the children in church were not learning the gospel. She thought they should be taught with extra special care because children are so important in our church. Sister Rogers talked about her concerns with general Relief Society president Eliza R. Snow. Sister Snow talked with their Bishop and he thought it was a great idea to teach the children in their Ward the gospel. So in 1878, more than 100 years ago, the first Primary was organized. In the beginning Primary was just for boys. Then the leaders decided that the Primary should sing songs along with their lessons so girls were also invited to "make it sound as well as it should." On the very first day of the very first Primary meeting boys were specifically taught not to steal fruit from orchards and girls were taught not to hang on wagons. - Are those things you think you would learn in Primary today? Today there are more than 1 million children in Primary around the world. The Primary helps children learn and live the gospel, prepare to be baptised, and build strong testimonies. Primary is also a lot of fun with special activities, songs and wonderful lessons. While you are still in Primary you will become baptized at age 8 and become an official member of the church and receive the Gift of the Holy Ghost. These are very important ordinances and you're first step to returning to live with Heavenly Father again. - What is your favorite part of Primary? - How do you feel when you're in Primary? Going to Primary is very important. You are learning to believe in Heavenly Father and Jesus Christ, to obey the commandments and choose the right. 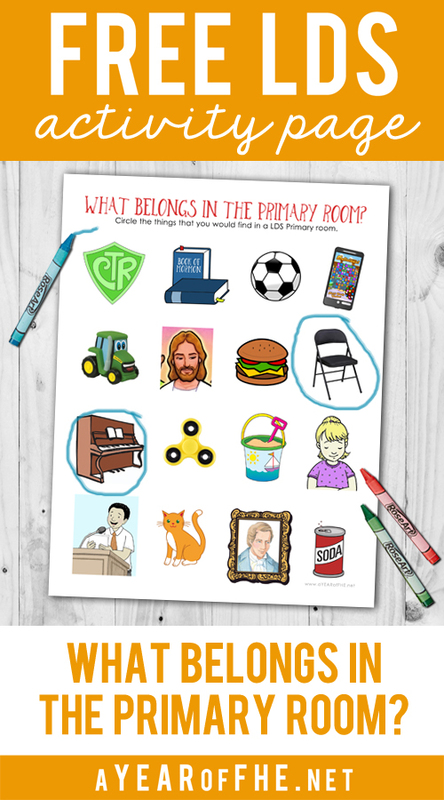 The Primary is a very special part of church and you are a part of that special organization. Share: If you were a member since your youth share some of your favorite memories of your days in Primary. 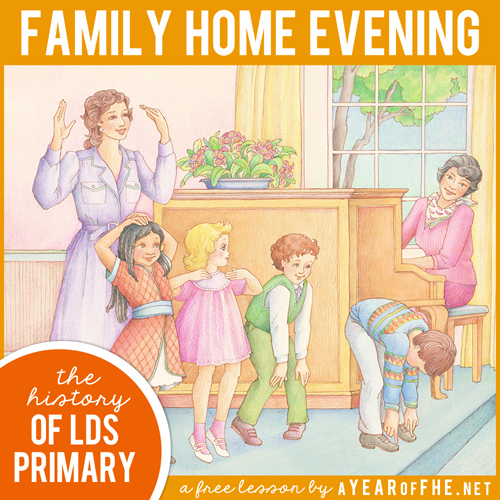 If you are a convert or did not have the opportunity to attend primary in your youth, share how you feel when you hear the Primary sing in Sacrament Meetings or when children share their testimonies in church, offer prayers, etc. Bear your testimony about the importance of Primary and the special contribution that the children make to your Ward family. 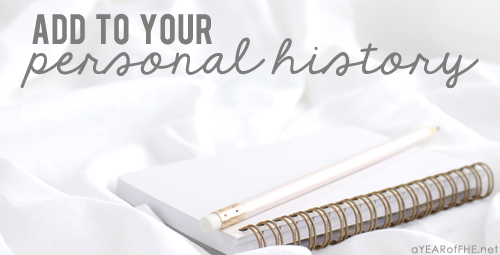 Write in your journal (or start a Personal History notebook or binder) your most vivid memories from your time in Primary. Do you remember any specific teachers? What was your favorite scripture story while in Primary? Did you earn your Duty To God award? Why or why not? What was your favorite Primary Song when you were little? 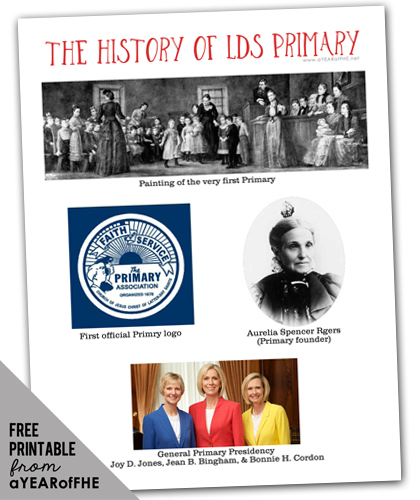 If you are a convert or didn't attend Primary, what is your experience with it now? 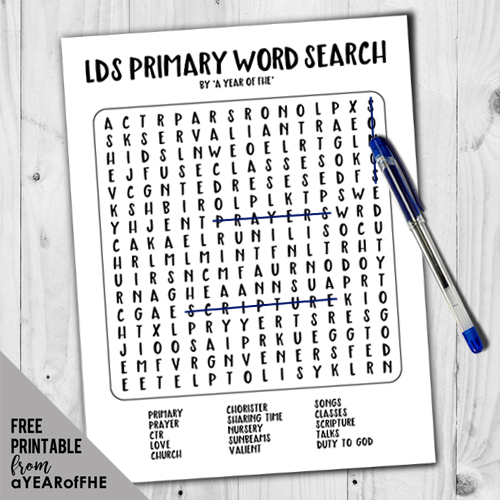 LDS LIST // 12 General Conference Activites for Kids, Teens, and the entire family! Thanks for the lesson! Both of my kids are still in nursery, but this will be a fun lesson to prepare my daughter who moves up to primary next year! Thank you for sharing the lesson. I love you fun ideas. Just downloaded this. This is my first lesson from your site. I am very impressed with the content of your lessons. Your topics are unique and deeper than other lesson plans I've seen. Good work! Emilie: thank you so much for your dedication to this blog! your blessings are unmeasured, and I appreciate it so much! II'm going through and printing off a year of these FHE lessons at once and I'm getting so excited! My husband is excited too, you have shared your hard work with the world and we so appreciate it! My kids are especially going to love the BINGO game in this lesson! Well done, with all of it, and again, THANK YOU! !